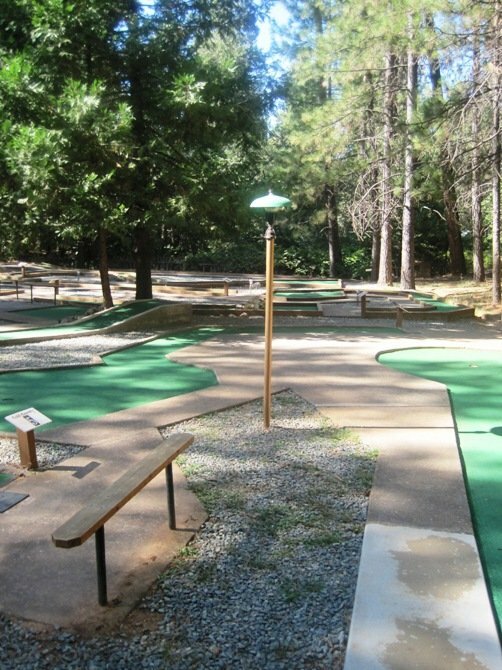 Nestled in the foothills of the Sierra Nevada Mountains, the Gold Country Campground Resort in Pine Grove, CA offers outdoor living at its best; from spacious tent camping sites, and RV spots with full hook-ups, to motel rooms, cottages, and fully-furnished cabins. 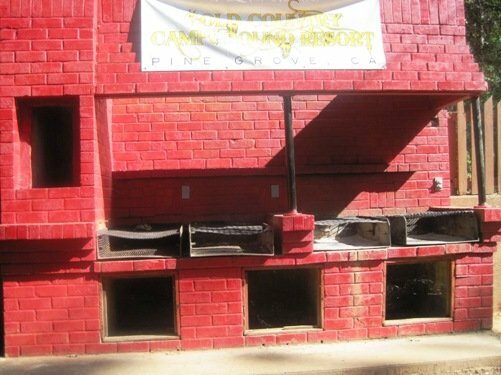 Among the pines are the tent and RV camping sites, all within walking distance to a seasonal convenience store carrying a variety of camping provisions and gifts including bug repellent, firewood, ice, RV supplies, snacks, and t-shirts. 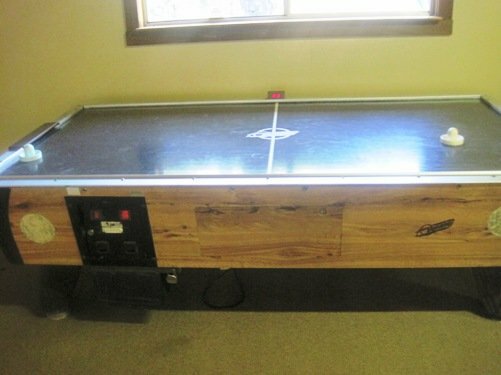 Also available to tent and RV campers is a laundry room with coin-operated washers and dryers, as well bath houses featuring private restrooms and hot showers. 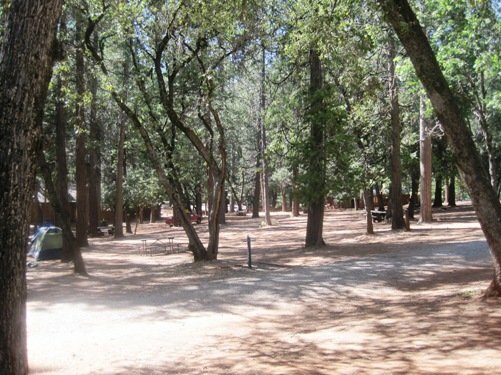 – 71 RV park campsites, designed to handle today’s largest “Big Rig” RVs. 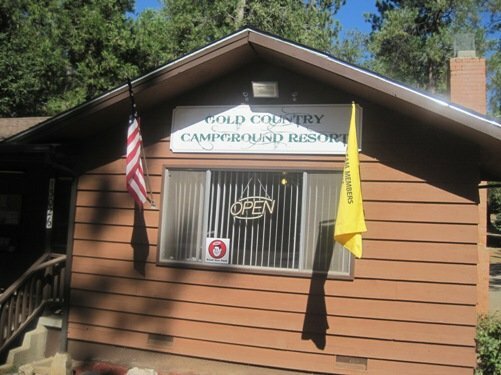 If your idea of “roughing it” involves four solid walls and a roof, Gold Country Campground Resort has got you covered. 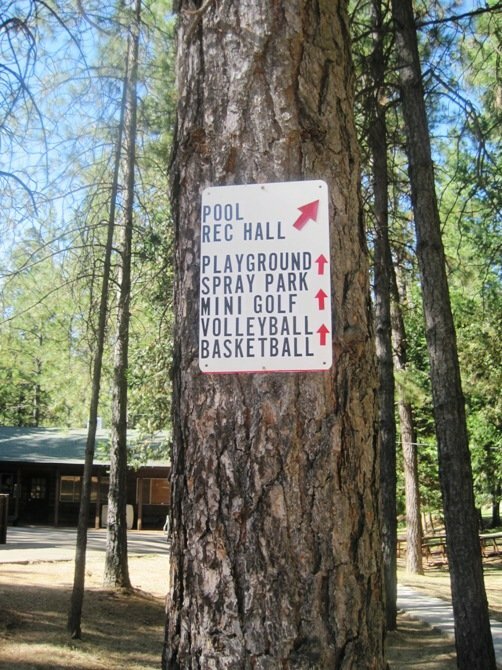 A short distance from the camping area is a wonderfully spacious outdoor recreation area boasting a water spray park, a playground for the kids, a miniature golf course, an indoor arcade complete with pool table and bouncy house, a horseshoe pit, and a roomy outdoor barbeque area perfect for large groups, just feet from the heated outdoor pool. 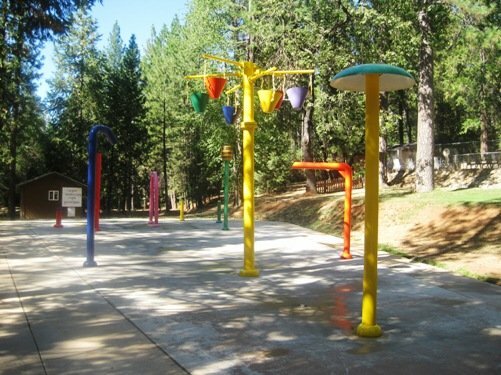 SPRAY PARK – Eight different water elements all controlled with the push of a button. From personal experience, I can tell you it’s very refreshing on a hot summer’s day! 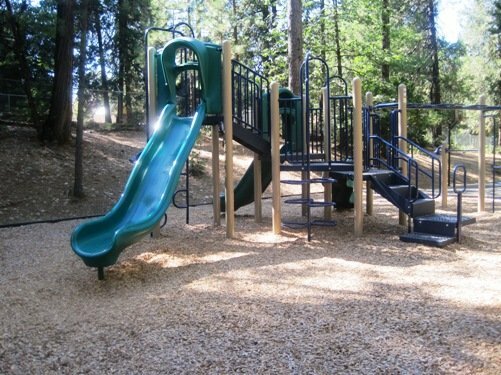 PLAYGROUND – A good size for kids of all ages, the structure sits on a soft bed of wood chips. 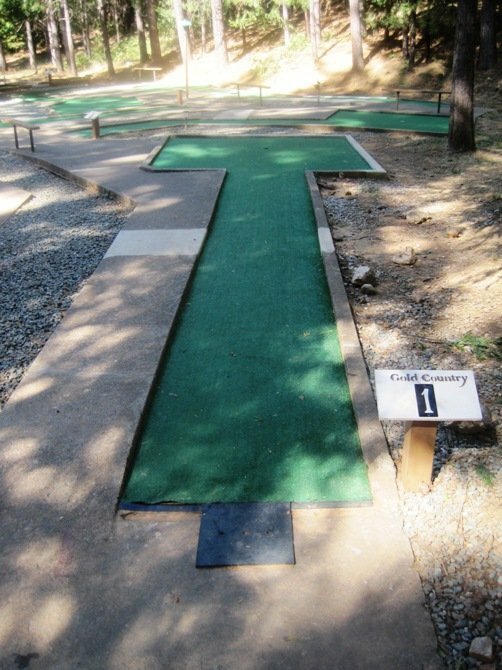 MINI GOLF – 18 holes of pure fun. 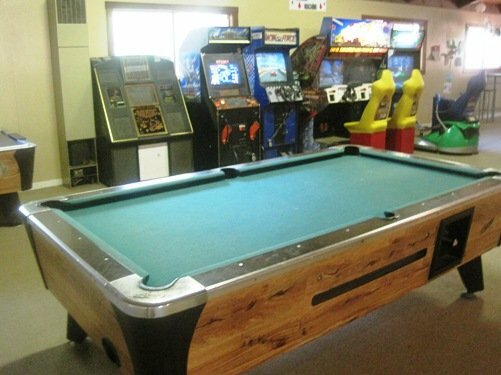 INDOOR ARCADE – Video games, air hockey, ping pong, a pool table, a bounce house, and list goes on! HORSESHOES AND BOCCE BALL – Grab the balls and the shoes from the office and have a little competitive fun! 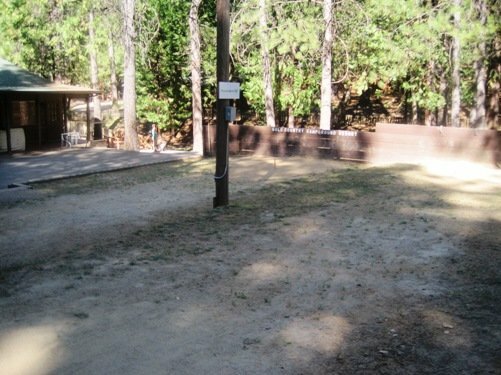 GROUP BBQ AREA – Complete with tables and several grills. 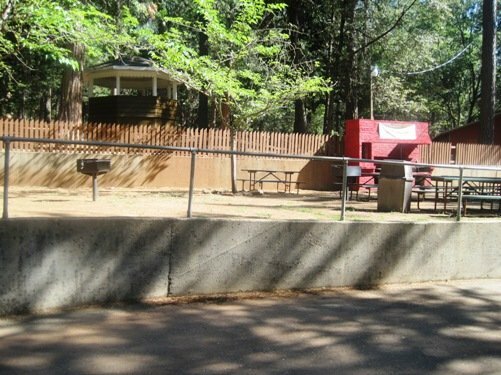 In addition to all the incredible family-friendly fun mentioned and pictured above, the Gold Country Campground Resort offers a full calendar of activities, entertainment and events including crafts, movie nights, theme weekends, and much more. 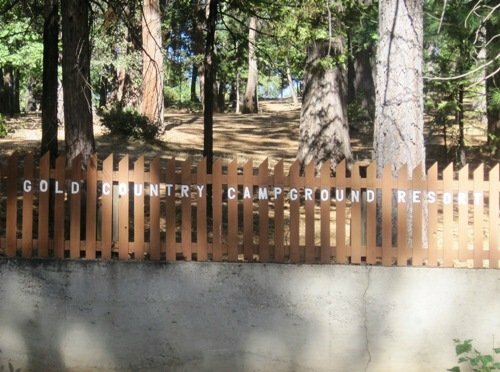 Gold Country Campground Resort is located in Pine Grove, Amador County, California off of CA-88 in Central California, approximately 50 miles southeast of the State Capital of Sacramento, 80 miles southwest of Lake Tahoe, 40 miles west of the Kirkwood Ski Area, and 8 miles east of Jackson Rancheria Casino and next door to the historic Roaring Camp Mining Company. « Dell’Osso Family Farm – Holidays On The Farm – Ice Skating, Zip Lines, Snow Tubing, Holiday Lights, Train Rides And More! 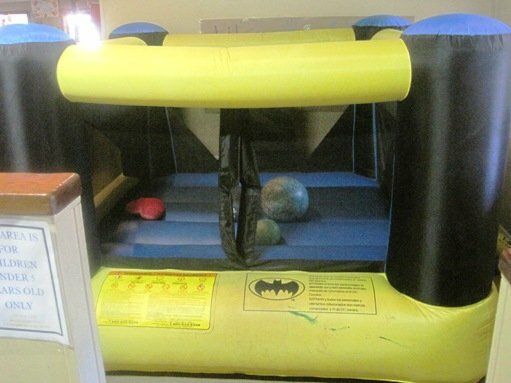 This entry was posted on Wednesday, August 24th, 2011 at 10:31 AM	and is filed under Nearby Attractions. Both comments and pings are currently closed.